Many Weber grills come with stainless steel cooking grates, and on a brand new grill they start out nice, shiny and beautiful. 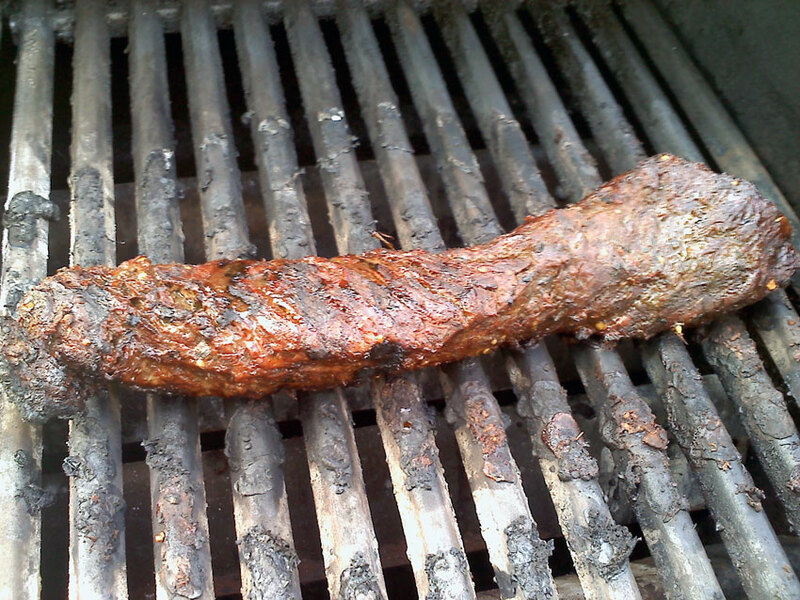 It’s not uncommon for them to lose this shiny appearance after as little as one use of the grill. Due to the high heat they are exposed to, and the properties of stainless steel, they may take on a yellowish cast. Some grates will turn darker colors, such as brown or black, as debris from cooking builds up on them. Brushing the grates to keep them clean is recommended, but it’s very important to realize the grates will never look like they did before they were used. Not only that, some minor natural buildup on the grates can even be beneficial, as it helps prevent food from sticking to them so much. Super clean, shiny stainless steel grates can be prone to having food stick to them (which is why we recommend oiling the food). It’s nice to have really pretty stainless steel cooking grates, but rather than worry about their appearance so much I like to prefer to focus more on grilling great food on them. The bottom line is that it’s ok to have not so pretty cooking grates as long as the food cooked on them is delicious, such as this Caribbean Jerked Hanger Steak that I cooked on my five year old stainless steel grates.